You know that action MMO TERA Online I can't stop talking about? You're going to have to deal with it for at least another seven months, as En Masse Entertainment opens up a Spring 2012 release window. 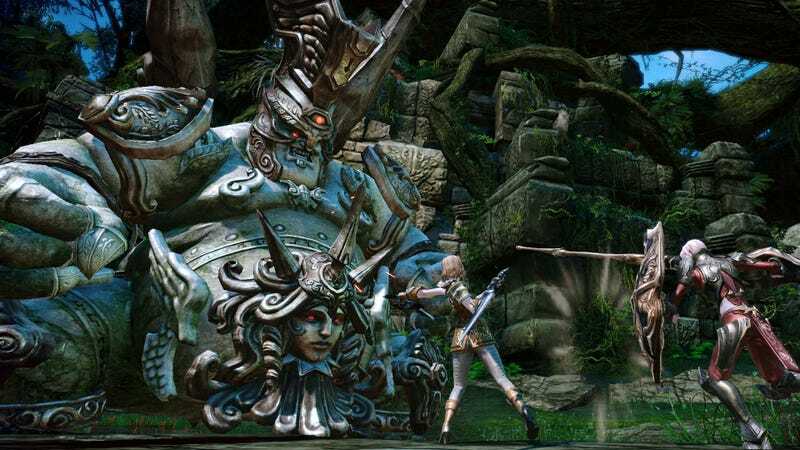 I played TERA Online at GamesCom 2010, and it will be playable again at GamesCom 2011, but not playable enough to see the light of day in North America. Instead the developers are taking a little extra time to give the game the spit and polish expectant fans deserve. "Adding time to our schedule will help us ensure we exceed people's expectations for TERA," said Chris Lee, publishing VP of En Masse Entertainment. "The game's action combat and depth has generated a lot of interest, and we are committed to making sure every aspect of the game lives up to our standard of quality." In the meantime, here's some screenshots to tide us over. Pace yourselves!